After years of crippling drought, the 2019 rainy season has brought much-needed relief to California. Reservoirs are full, snowpack is high, and our rolling hills are vibrantly green once again. 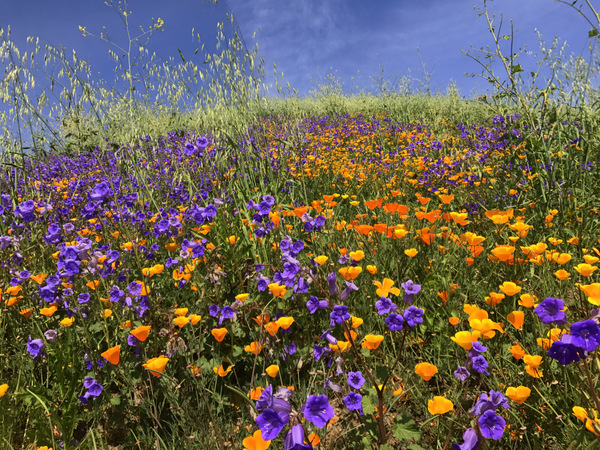 One of the most pleasant side effects of an ample rainy season is the explosion of wildflowers that is currently taking place in and around Orange County. Now is the time to hit the trails and appreciate Orange County area parks wilderness areas at their absolute finest. 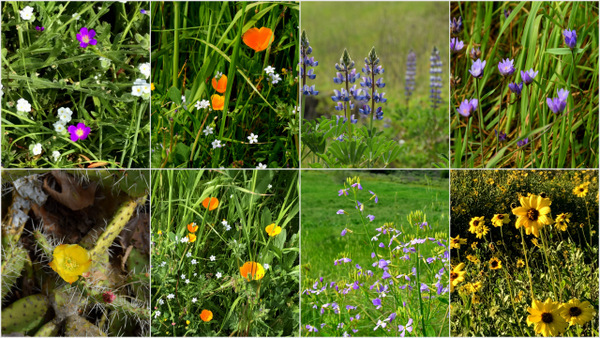 One of the best place places to see a diverse array of wildflowers is Irvine&apos;s Bommer Canyon. Here hikers will discover lupine, goldfields, fiddlenecks, chia, thistle, storksbill, blue dicks, prickly pear, poppies, and more. 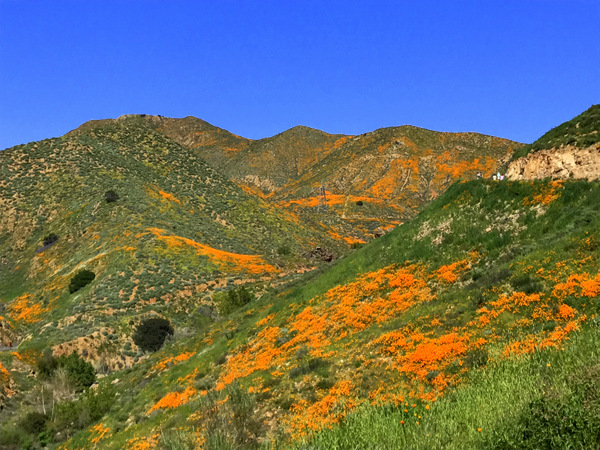 Beyond Bommer Canyon, expect to spot wildflowers in Hidden Canyon, Whiting Ranch Wilderness Park, Santiago Oaks Regional Park, Caspers Wilderness Park, and Laguna Coast Wilderness Park. Special guided wildflower-focused hikes will take place in various locations at the Irvine Ranch Natural Landmarks. Advanced signup is necessary. 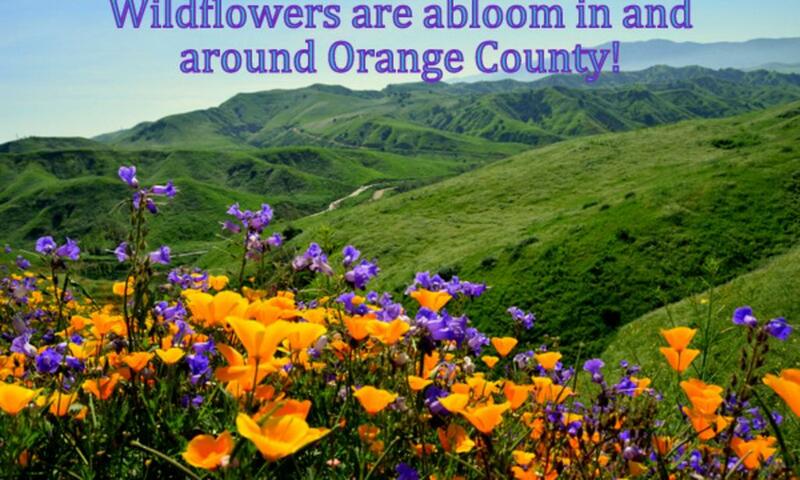 East of Irvine, a massive wildflower explosion in occurring in Chino Hills State Park. Carpets of poppies, lupine, and various other wildflowers are blanketing the vibrantly green hillsides, making it one of the prime wildflower viewing locations in the entire state. The drive from Irvine to the State Park along the 241 Toll Road is incredibly scenic with all sorts of wildflowers to gaze at along the way. One other location not to be missed is Walker Canyon, located about an hour from Irvine off I15 near Lake Elsinore. This location has caused traffic jams because gawkers gazing at the fields of poppies that can be spotted from the freeway. 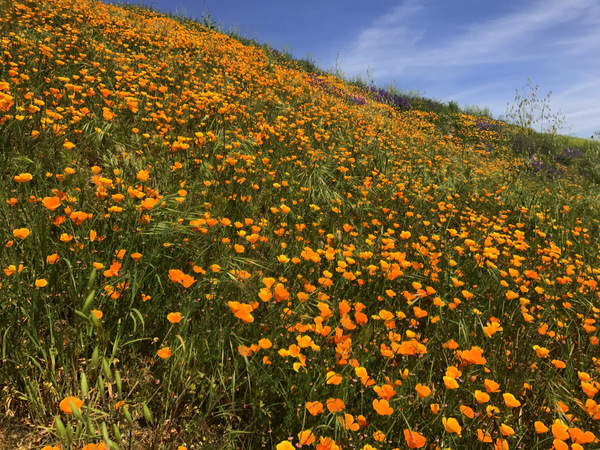 A short walk uphill from the parking area off of the Lake Blvd exit will allow you to be up close and personal with California&apos;s official state flower. 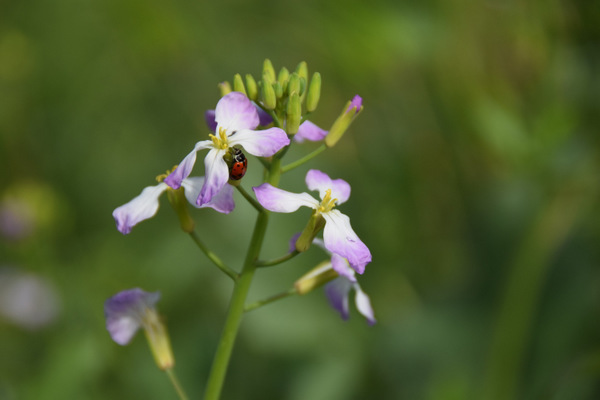 Join Farm Stewards for a walking tour of the Native Seed Farm. With this winter’s rains, the flowers should be amazing! The nature walk will highlight native plants used in our restoration efforts and which will look great in your home garden. Want to attract butterflies, hummingbirds or native bees? Bees, beetles, moths, butterflies, bats, and birds are just a few of the beneficial creatures that help create a beautiful habitat right in your own backyard! 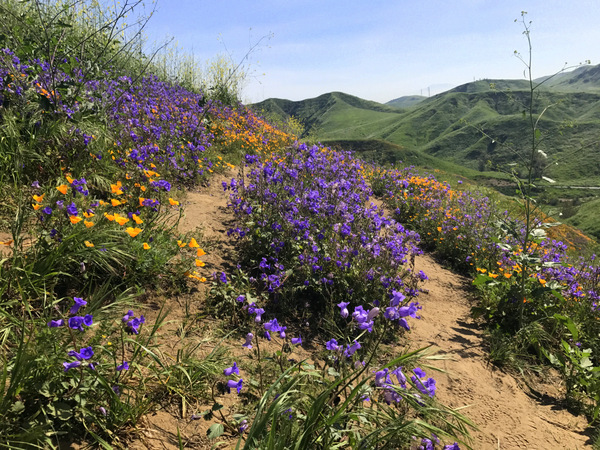 Visit Irvine Ranch Natural Landmarks for the May 2019 schedule.